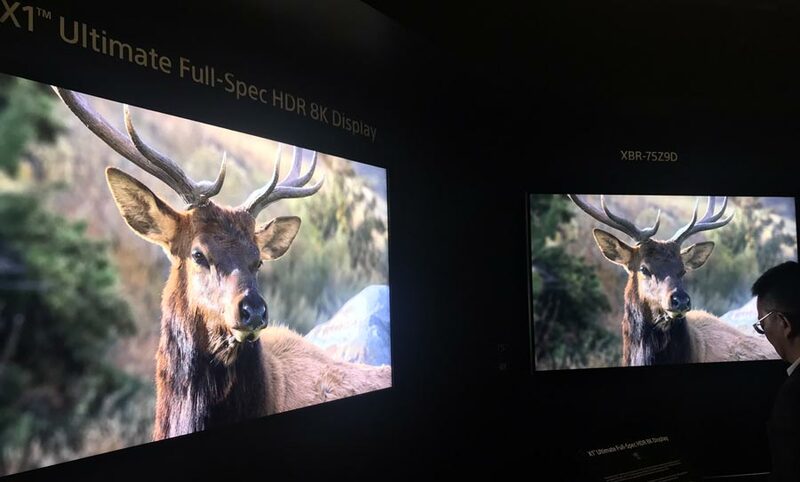 At CES 2018, Sony is showcasing a prototype 8K TV capable of reproducing HDR pictures with up to 10000 nits peak brightness. It is driven by a next-generation ’X1 Ultimate’ processor. 10000 nits may sound excessive but the 85-inch prototype display is extreme convincing. It can reproduce specular highlights such as a car’s headlights or sun reflections with extreme intensity. FlatpanelsHD spent some time with the display at CES. Next to it was the Z9D, which is one of the brightest HDR TVs today. Side-by-side, Z9D looked almost like a conventional TV. The 10000 nits prototype made pictures look so intense that it was almost like being there. Gran Turismo Sport looked particularly excellent. The prototype display is driven by a new ‘X1 Ultimate’ video processor. This is the successor to the current X1 Extreme, which is found in 2017 flagship TVs as well as the just-announced 2018 TVs. Sony told us that X1 Ultimate is twice as powerful as X1 Extreme, which is required to process 8K resolution. 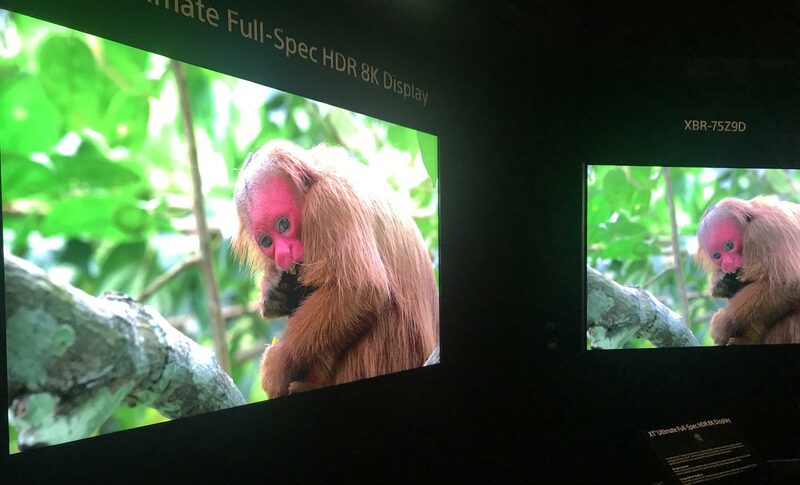 The LCD prototype also featured 8K resolution. Pictures looked extreme detailed but it appeared that at least some of the content was upscaled from 4K. 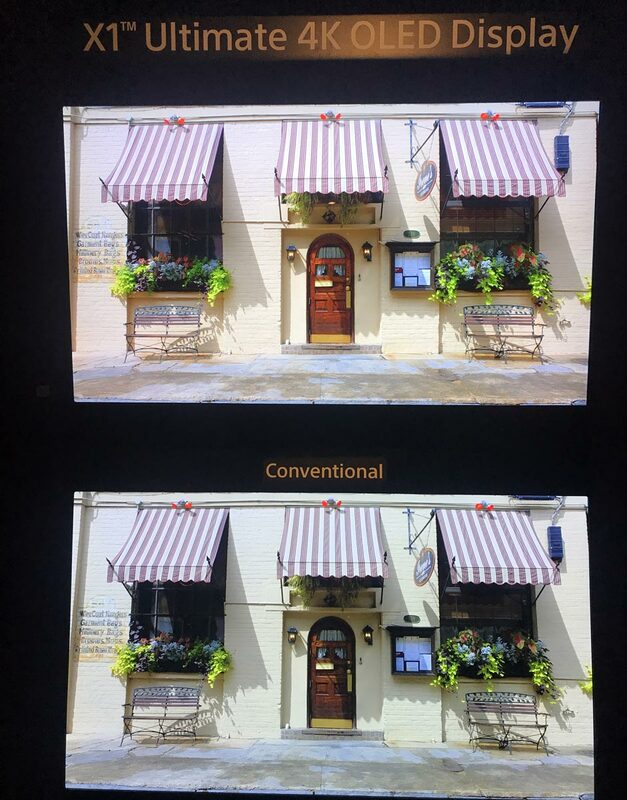 Sony calls it a “full-spec” HDR TV referring to the current HDR standards that support up to 10000 nits peak brightness. Does this also mean full Rec.2020 coverage? No, Sony conceded but “close”. Sony added that X1 Ultimate does object-based analysis of the picture to improve video quality. It can even improve picture quality on 4K TVs, Sony claimed. The company had set up a 4K OLED and a 4K LCD equipped with the X1 Ultimate chip for reference. At CES a couple of years ago, Sony showcased a 4000 nits prototype TV and went on to launch the Z9D model with not long after. Sony refused to comment on its plans for X1 Ultimate but since the chip already has a finalized name it seems plausible that Sony will launch its first 8K TV at some point in the near future. Our guess? Sony will launch its first 8K TV later this year as soon as HDMI 2.1 is ready, built on the X1 Ultimate chip.